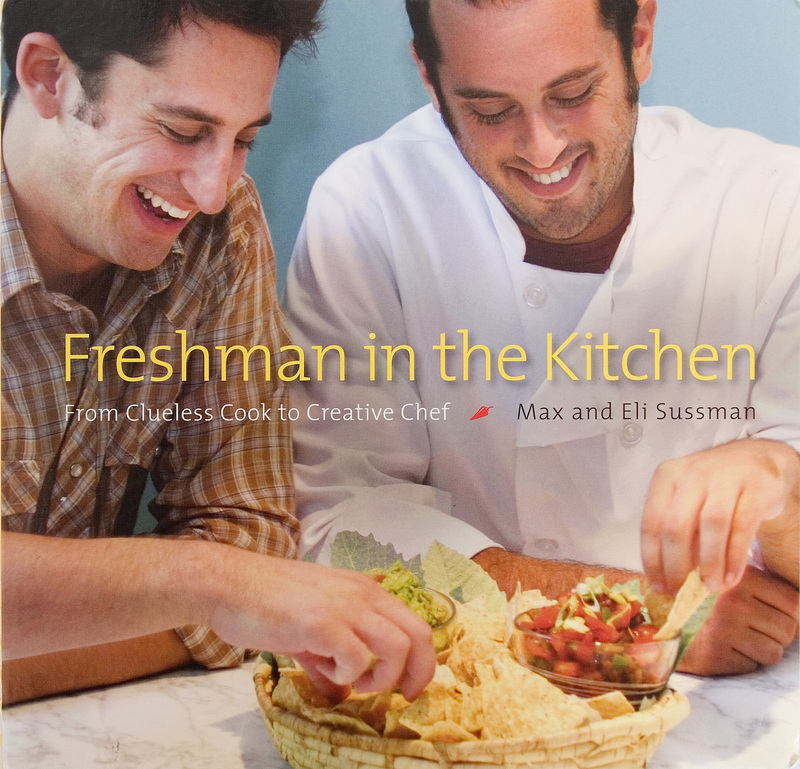 Max and Eli Sussman wrote Freshman In the Kitchen From Clueless Cook to Creative Chef in 2007 as they both finished up their college careers. Now, they’ve been nice enough to share with DormDelicious their reasons why it’s actually not that hard to cook in your dorm, along with a delicious recipe for Potato Skins that requires nothing but a microwave (and the raw ingredients, obviously). Their book is available at freshmaninthekitchen.com and bookstores nationwide. Whatever your personal argument against cooking your own food may be, I’m here to convince you that you can cook in your dorm room and create awesome food cheaply. So here we go at dispelling some of the main dorm room excuses for not preparing your own food. It’s nearly impossible to burn down your dorm room using your microwave and I’d be willing to wager any amount of money you’ve used a microwave at least once in your life. The recipe below uses your microwave, so it should be within your comfort zone of cooking. Don’t let the size of your dorm room deter you from making food. The recipe below can be made entirely using the top of your microwave for your cooking zone. If that’s covered with beer cans, use your desk, and if that’s covered in books, use your coffee table. If that’s covered, have your roommate get down on all fours and form a table. Come on, you’re in college, you can figure this out. There are other food options besides pizza delivery, mac and cheese and ramen noodles. I’m sure you spend all class with your brain completely turned off (or occupied by Twittering and Facebooking). This recipe provides step by step instructions to follow and they are super easy. This isn’t going to be tough like doing your laundry. I promise nothing will shrink. This recipe for potato skins is cheap (it costs less than $5 per person) and cooking for yourself is MUCH cheaper than going to restaurants or delivery (Remember, you don’t have to tip the delivery dude this way) If you tend to spend most of your money on activities that take place between Thursday and Saturday from 10pm onward, this is a good place to save cash. Convinced? Download the recipe (PDF, 136KB) now and get cooking! Do you have a dorm room recipe to share? Leave it in the comments!